Welcome to the wonderful world of Costa Rica, where living in paradise is made possible. If you’re interested in the country’s highly sought-after real estate, our team would love to partner with you in an effort to pursue the property of your dreams. Of course there are many elements to review beforehand and along the way, but the bottom line is we’re equipped to guide you home. Let Dominican Real Estate take you up close and personal to the homes, lots, and land for sale. Allow us to lay out the investment process. We can present the whole picture, generally speaking, before you even click off of our site. We would love to hear about you – what you like about Costa Rica, why you want to potentially invest in its real estate, what’s on your property yes/no list, and so forth. Likewise, we’ll tell you all you want to know about us – what brought us to Costa Rica, why we do what we do, and most importantly, how we can help you. If we accomplish only one thing in this process, our hope is that it’s to deepen your attraction to the Republic of Costa Rica. Costa Rica has so much to offer – residents, visitors, you name it. It is no surprise that the country inspires so many to leave their homeland and begin a new life here. For a less drastic change, some simply establish a second home here and divide their time. There is no right or wrong arrangement. 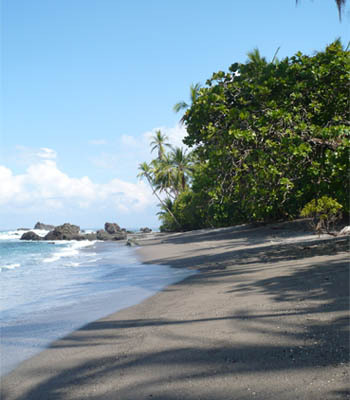 It’s up to you to determine how Costa Rica fits into your life, and we’ll help you determine your place in Costa Rica. Its real estate market is what you make of it, so let’s get to work.